Have you ever think that, one day you can use your Android to read ebooks like reading paper books? 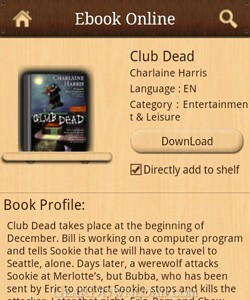 Laputa eBook reader can help you to realize this dream. Realistic flipping mode simulates a natural feeling as if you are turning the actual pages of your reading materials. The page goes with your fingers just like real paper in your hand, it’s so cool! It is also good for your eyes and helps you save battery. Laputa really excels as far as the reading experience is concerned.